Patient safety education and advocacy group PULSE of NY today announced that it is extending for one week its discounted "early bird" ticket price for its upcoming annual symposium, Medication Safety: It Starts Before the Prescription. Wantagh, NY, March 21, 2016	(Newswire.com) - Patient safety education and advocacy group PULSE of NY today announced that it is extending for one week its discounted "early bird" ticket price for its upcoming annual symposium, Medication Safety: It Starts Before the Prescription. The lower registration cost of $50, which includes dinner as well as a whole evening of discussion and expert presentations on medication safety, is available through Friday, March 25. After that date it will cost $65 to attend the event. The Symposium, to be held April 18, 2016 at the Holiday Inn in Plainview, NY, will gather stakeholders including healthcare professionals, patients and their families, and related organizations to discuss the latest developments in improving our use of medications. 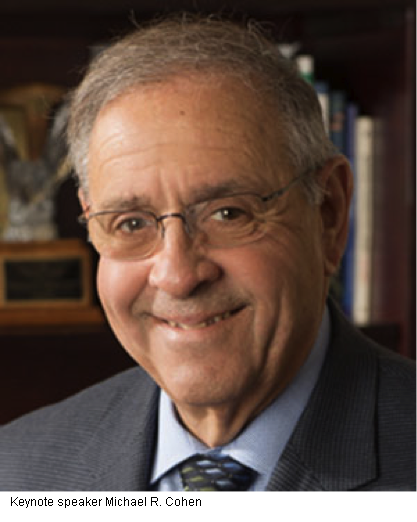 The keynote speaker will be Michael R. Cohen, RPh, MS, ScD (hon. ), DPS (hon. ), FASHP, president of The Institute for Safe Medication Practices, (ISMP) a nonprofit healthcare organization that specializes in understanding the causes of medication errors. How important is the medication safety problem? According to the CDC, in any given month more than half of all Americans will take at least one prescription medication. "The medication safety issue looms larger for older people," says PULSE President Ilene Corina, "but Health News reports that an American child experiences a medication error every eight minutes too. It is vital that we evolve safeguards to improve outcomes and reduce costs." Corina also notes that opportunities to sponsor and support the conference are still available. More info at Sponsorship. We may live in a "connected age," Corina concludes, "but there's still no substitute for the oldest and best form of human discourse: the face-to-face encounter. We hope that everyone concerned with keeping themselves and their families safe while using medications will attend this informative and entertaining event." Sign up for email updates from Pulse Center for Patient Safety Education & Advocacy (formerly PULSE OF NY).